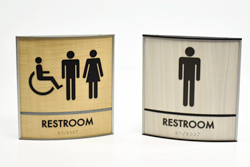 A great look for any office, restroom or building project. 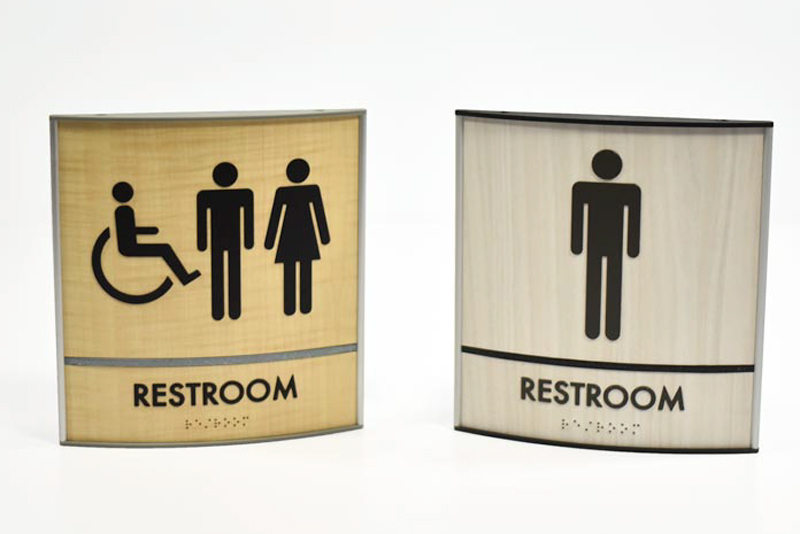 Modular bathroom sign frames featuring anodized aluminum frames and high impact plastic end caps. These curved-face sign frames are available in satin black powder coated frames (all black frame) or the ever-popular satin silver anodized aluminum frames. 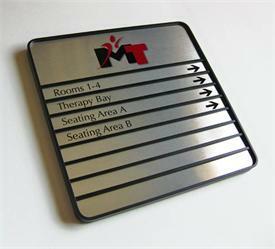 The end caps and sign divider strips are available in black or grey plastic. 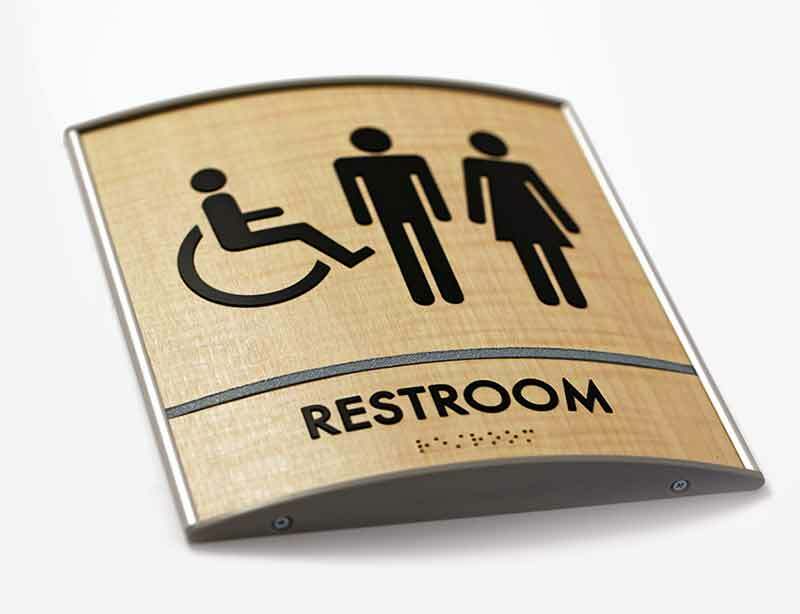 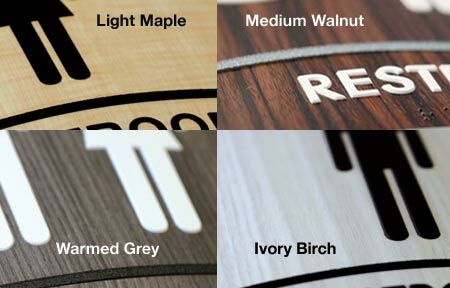 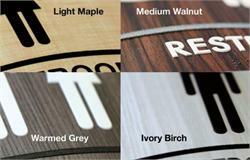 Contemporary wood looking options and ADA Braille personalization included with this sign product. 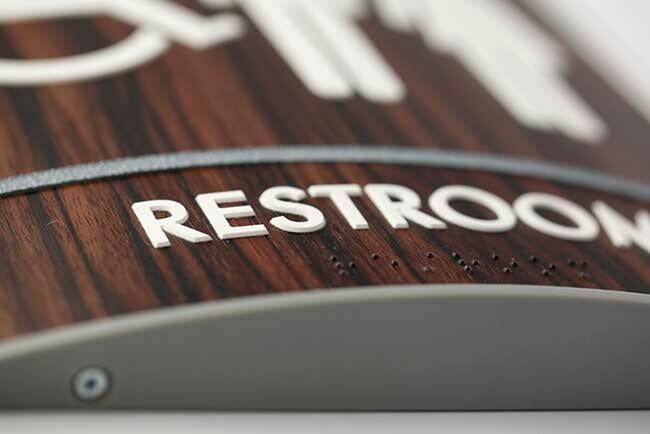 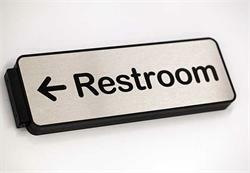 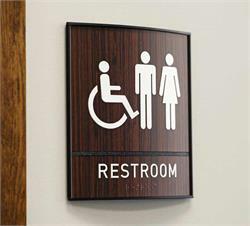 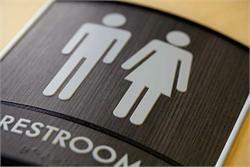 1/32" tactile lettering and restroom graphics of your choice. 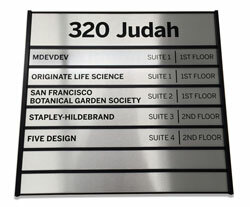 8" wide sign frame with 2" tall header with divider strip (main graphic area is 6" tall). 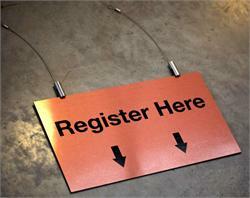 The height of this custom sign frame measures 8.1875" Tall. The graphic elements of this sign may be replaced, without having to order an entirely new sign frame. 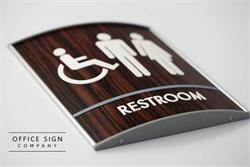 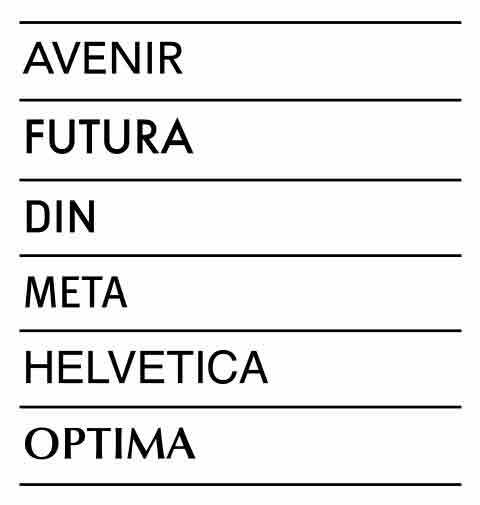 The curved sign frame on this page features a curve from left to right. 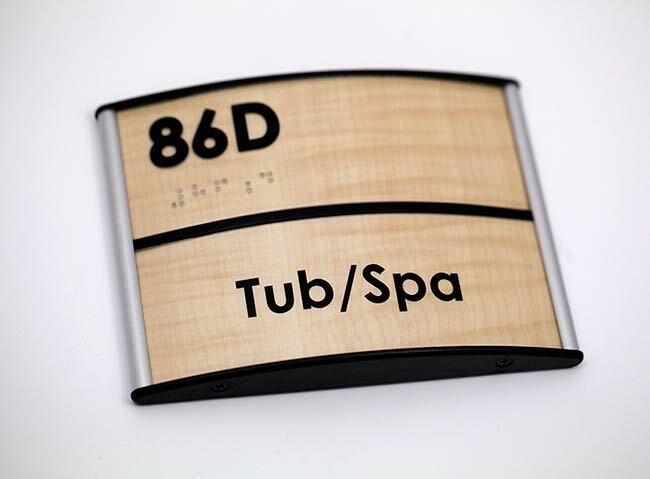 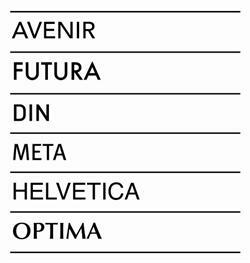 Economical, modular sign system available for office and room number signs also. 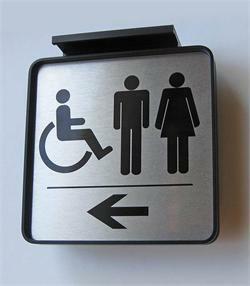 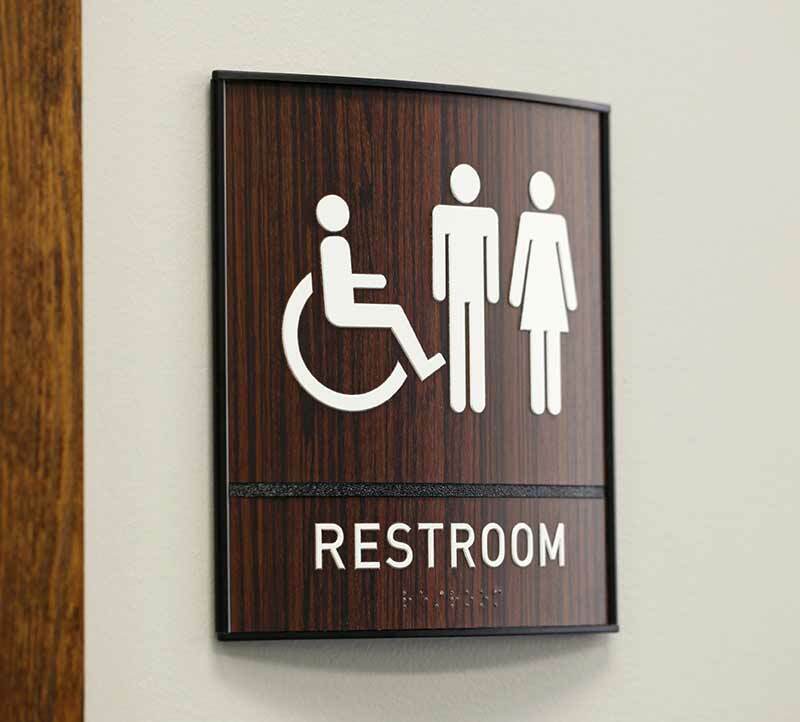 Modular Curved Bathroom Sign Frames and Curved Wayfinding Sign Systems - Contemporary Restroom Signs and ADA Signs for Demanding Professionals.